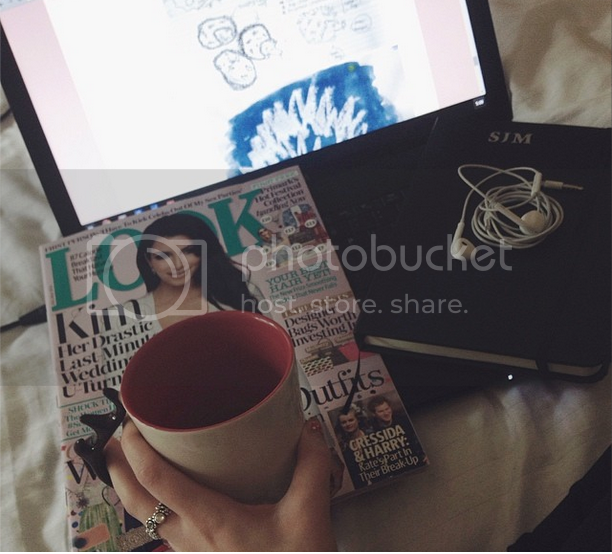 UCAS // My first step to University | S J M W E L L - Fashion, Beauty & Lifestyle blog. University has been at the forefront of pretty much my life recently. Open days, portfolio ideas, coursework, all of it! Today, I sent off my UCAS application. I was intuitively awake at 5.30 and watching the news, waiting until UCAS re-opened the site up at 8am. I am now on tender hooks awaiting a response. Then again, until I'm moved in somewhere i.e my first choice I shall be. One which I will not be hearing about for a while yet. I am now £23 lighter for the privilege and utterly anxious at the thought of my life being in the hands of the Universities. To be honest, I feel like 15 year old me would be both shocked and incredibly proud at even applying. To think a few years ago my illness prevented me from attending college, stressing myself out thinking about my future educational path, to where I am now baffles me. I didn't even think as far to University until of late! if you had to take time off school you are not a failure, if you had to leave school for good you are not a failure, your worth is not determined by academia and this goes doubly so for disabled people and others for whom school is set against them"
I'm both excited, nervous and absolutely anxious at the thought of it all. I just hope, hope, hope I have the opportunity to attend an interview and prove myself, who knows! I feel like since last year, I've had a complete 180' thought process change about how I view education. I was very negative about the effect it had on me as a mid teen and couldn't wait to leave and run from it asap. But, now it actually excites me and I'm aiming for all my top grades. Amusingly and handily, the amount of stress has yet to effect my motivation to get my work done well, so here goes guy's. Lets do this. I guess I should mention what I intend to study, for anyone wondering. I intend to study Graphic Design. As mentioned, I will highly likely be documenting this turbulent journey to University and some posts that may help fellow freshers to be! For everyone else in the same boat as me, I wish you so much luck and I'm so excited for everyone to get their choices they wish! Congratulations on submitting your application and good luck! I've just got to add some finishing touches to my personal statement and then I can send mine off:O Where have you applied? Congratulations and good luck :) my partner is a graphic designer and although she's already qualified, she's constantly talking about wanting to go back to Uni to study it even more haha so I only assume that it's an awesome thing to study, especially if you're into the creative side of life. I applied for UCAS last year and I remember hating it as well as being proud I even had the opportunity to! Good luck with your personal statement and course! Congratulations and I have my fingers crossed for you! Applying for university is such a big step and I hope it all goes as planned for you. If you don't already follow her Summer (www.lifeassummer.com) is a lovely lady who has just graduated in graphic design.